"Anyone can edit. Someone has evil intentions. I don't even know what happened," he told Malaysiakini. The page edits came amid allegations that Marzuki's business administration degree was bogus. The majority of the edits were by made by one anonymous user. Wikipedia pages, while tightly policed, can be edited by anyone. The edits began yesterday afternoon, with a change to Marzuki's alma mater from the University of Cambridge to Cambridge International University. Six edits were made to this effect on the page. The edits were then disrupted by a different anonymous user, who added: "Cambridge International University is a diploma mill, and not affiliated or related to the University of Cambridge." This edit was subsequently deleted. All mentions of Marzuki's educational background were then removed by the first anonymous user at 6am today. Checks by Malaysiakini found that Cambridge International University is not on the list of varsities recognised by the British government. 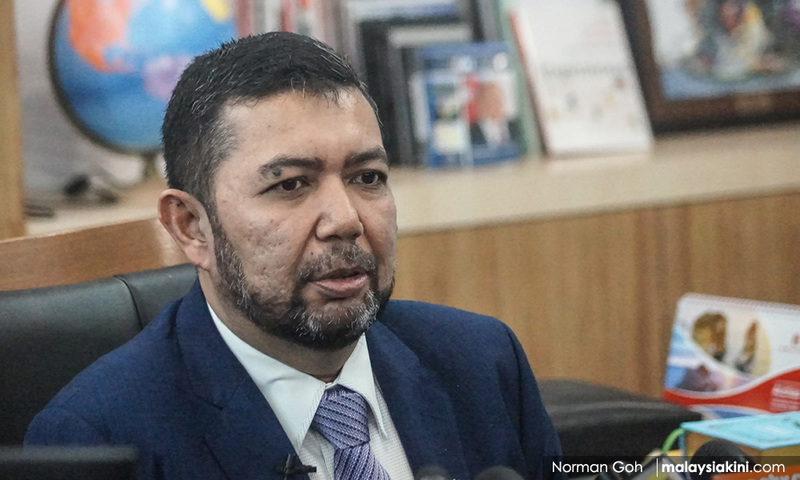 Marzuki previously stated that he held a Bachelor's degree in business administration from the University of Cambridge, which was earned through distance learning. His academic credentials fell under the spotlight after a police report was lodged against him, following claims that Cambridge did not offer a distance-learning programme in business administration. Cambridge's only business administration course is a graduate degree.